Based on one year in-depth research study of innovation at Google, this book includes examples of ways the company has put reinvented management principles to work. 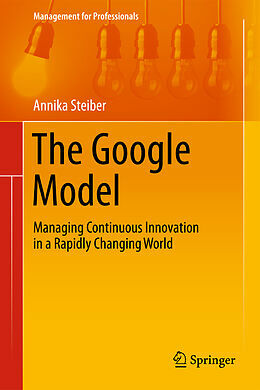 Offers key action-points to help readers reinvent management models for continuous innovation. This book shows how companies like Google have reinvented the common practice in management in order to continuously innovate in fast changing industries. With the ever-increasing pace of change, reinventing existing management principles could become a necessity and prove crucial in the long-term competitiveness of many companies. The book presents a unique synthesis of findings from leading research on long-term competitiveness in fast changing industries. 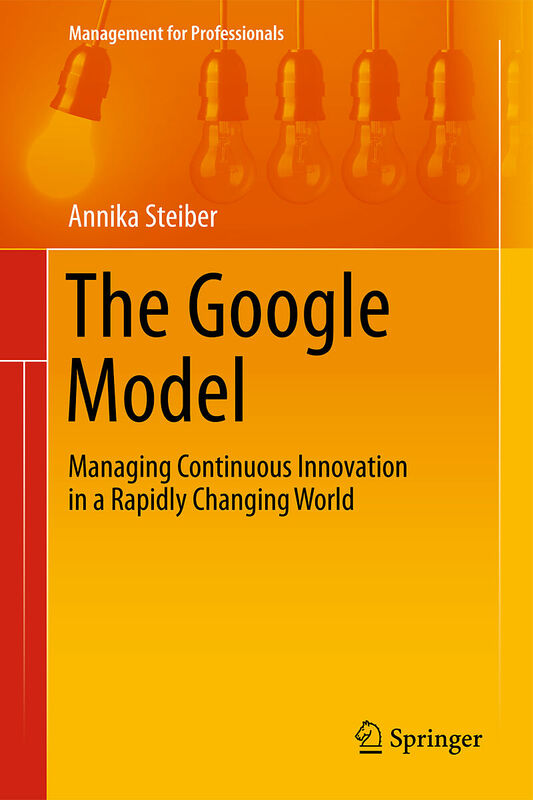 The core of the study comprises an exclusive 1-year in-depth research study on the drivers of innovation at Google and includes examples on how Google has translated the reinvented management principles into practice. The book also offers key action-points to help practitioners in reinventing their own management models for continuous innovation. 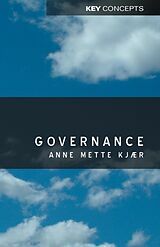 Annika Steiber, PhD Researcher, Lecturer and Advisor in Management and Organization. Dr. Steiber is an international authority in the field of management and the author of several award-winning articles and books. She has over 18 years of operational experience in creating growth for both start-ups and larger companies in the private sector. Currently she is the Founder and CEO of INNOWAY and works as a lecturer, researcher and advisor. In her consultancy work she is affiliated with Berkeley Research Group, founded by thought leader professor David Teece and with Strategos, founded by thought leader Gary Hamel. Dr. Steiber is the author of "The Silicon Valley Model" (Springer, 2016). Part I: A New Set of Management Principles.- Part II: The Case of Google.- Part III: Continuous Innovation - A Critical Business Skill.